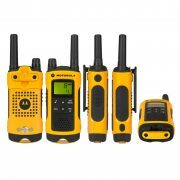 The Motorola TLKR T80 Extreme is a tough walkie-talkie and is an ideal communications tool for businesses and individuals who need a robust and easy to use walkie-talkie for outdoor use. 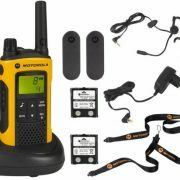 This walkie-talkie allows users to communicate over wide distances, and has been given an IPX4 rating for its water resistance. 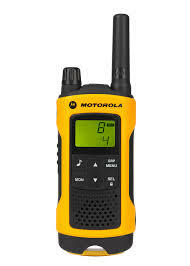 *The range of a PMR446 two way radios varies a lot depending on where you use it. The maximum range given by manufacturers is based on ideal conditions, such as from hilltop to hilltop, but the range you actually get will be much less if you are in a built up area. 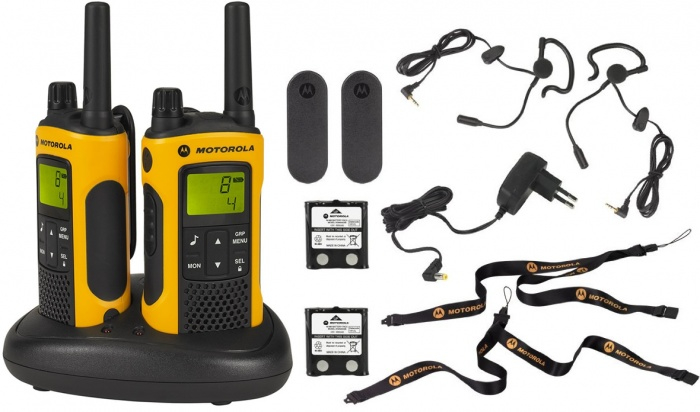 Trees, walls, hills and even the weather can affect the range of your walkie-talkie. 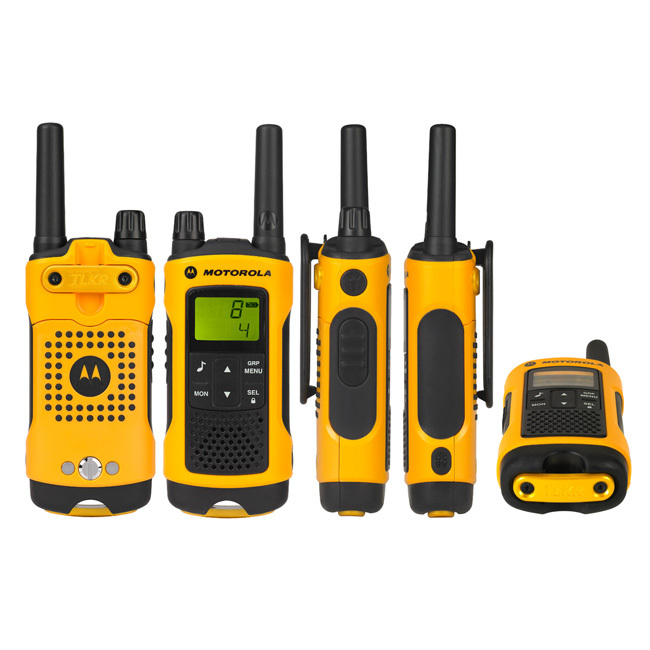 If you require a product with more range, please see our Licensed two way radio section here. 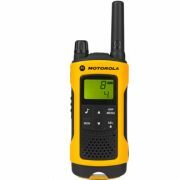 The Motorola TLKR T80 Extreme is a great walkie-talkie and is an ideal communications tool for businesses and individuals who need a strong and easy to use walkie-talkie for outdoor use. 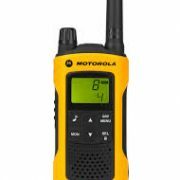 This best-selling walkie-talkie allows users to communicate over wide distances, and has been given an IPX4 rating for its reinforced water resistant exterior. 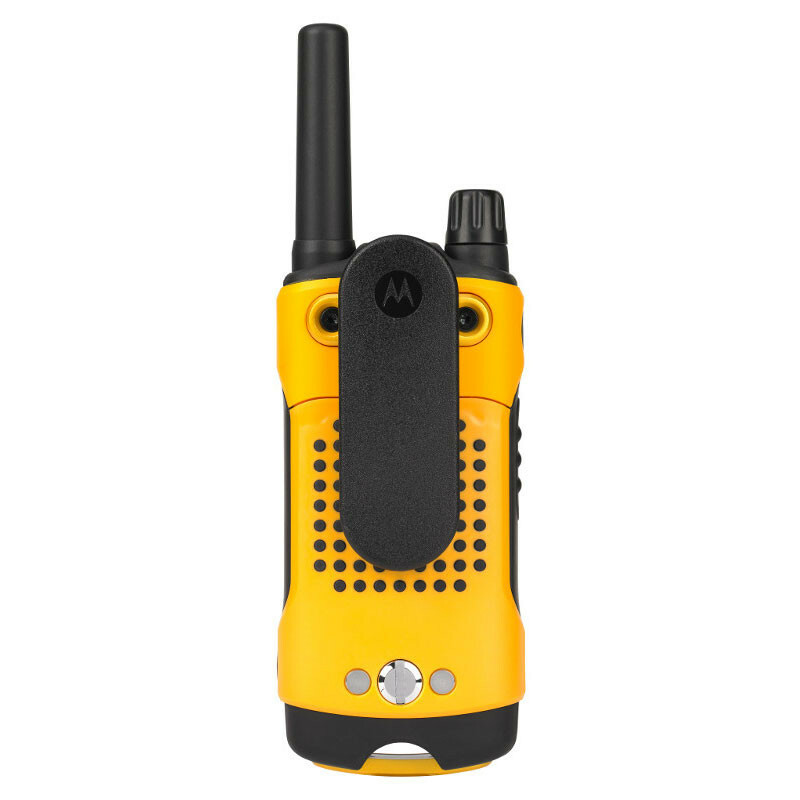 The T80 Extreme model allows you to create groups, so you can make calls to your whole team or a group of people. Every member of the group has an ID and can see the name of the group on the screen display. 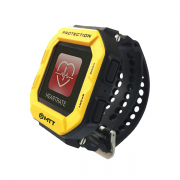 This version comes with vibrate alert so you can work without distractions. 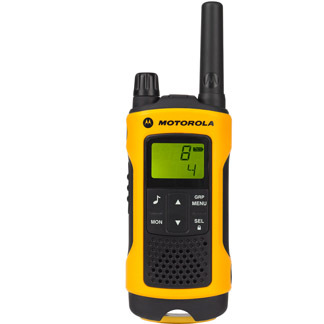 The VOX function allows you to keep talking, even when you need both hands free.